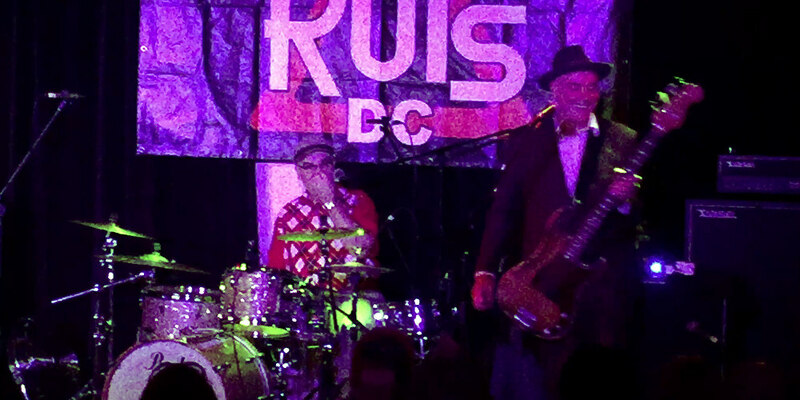 It has been a while since the last time I saw the Ruts. 1978, to be precise. It was a party held in Hayes Labour Hall and the Ruts were supported by the Desks and the Brain Surgeons. Fast forward almost 40 years. When I saw that Ruts DC were going to tour Australia this year and play in Brisbane I mentioned it to Lisa and she snapped up two tickets as a birthday present. Brisbane is a long way from us; It’s a round trip of about 3200 km (2000 miles). That’s a lot of petrol, four long days on the road and two nights in a hotel. 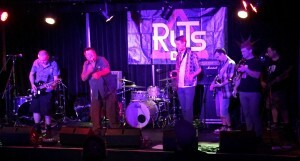 Once the Ruts hit the stage we knew it was time and money well spent. They were playing their first – and hopefully not last – Australia/New Zealand tour and this show was part of the Punkfest at the New Globe Theatre in the heart of the Fortitude Valley area of Brisbane. 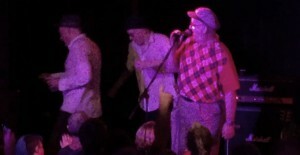 There were two support bands: Kingston Stompers and Spike City. Both bands were pretty good and played a fine mixture of ska, reggae and punk. Spike City reminded me of a 21st century version of Madness and even have a small brass section. The trumpet player sported a rocking mohican too. Then the Ruts came on. A bit of banter with the audience and they blasted straight into Surprise. As good as the support bands were, this was a lesson in how to play a gig. When a band has known each other for nearly 40 years they are going to be tight. 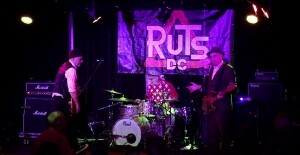 When I first saw the Ruts at the Southall Centre playing with Misty In Roots in early 1978 they were really very good. They haven’t lost any of their edge or energy in that time despite only two of the original four members still being alive. The set was well thought out with a great mix of old and new songs. There was more good-natured banter between Segs, Ruffy and the audience. The latter was a mix of kids who were born after the loss of Malcolm Owen and people the same age as the band. No matter what their age everyone knew the songs and sang along with them. The traditional faux encore was amusing. Leigh and Segs left the stage but Dave Ruffy stood and chatted with the audience. He told them about his dicky hip and that he couldn’t be arsed to get off stage only to have to climb back up a few minutes later. If you heard his high hat and kick drum pedal work during the show you wouldn’t think there was anything amiss. 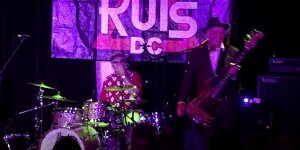 Ruffy is probably the best drummer to come out of the punk era and this gig just proved it again. All too soon – actually after almost two hours of music – and the gig was over. I hope they come back again. We scored some merch, as the kids say, and came away with a poster, a t-shirt and two CDs by the Ruts. Also bought a t-shirt from Spike City. All in all a great night out and it brought back lots of memories of days gone by and people no longer with us: Malcolm Owen, Paul Fox and Lizzie Cook. 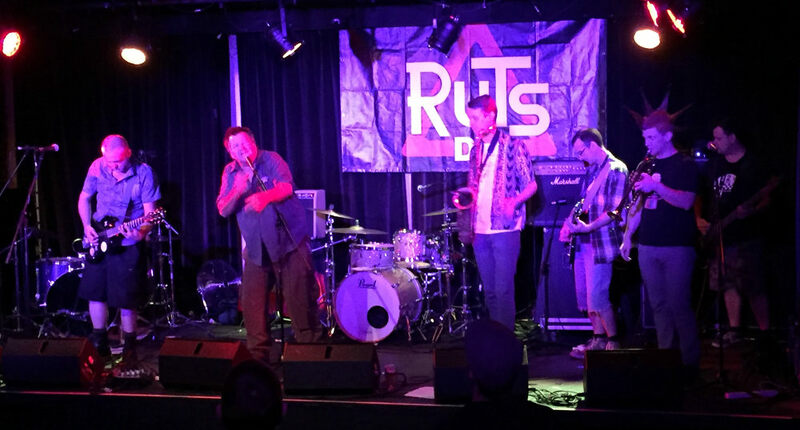 This entry was posted in Music, Travel and tagged brisbane, kingston stompers, Music, punkfest, ruts dc, spike city, the ruts, travel on 2015-11-19 by pete.